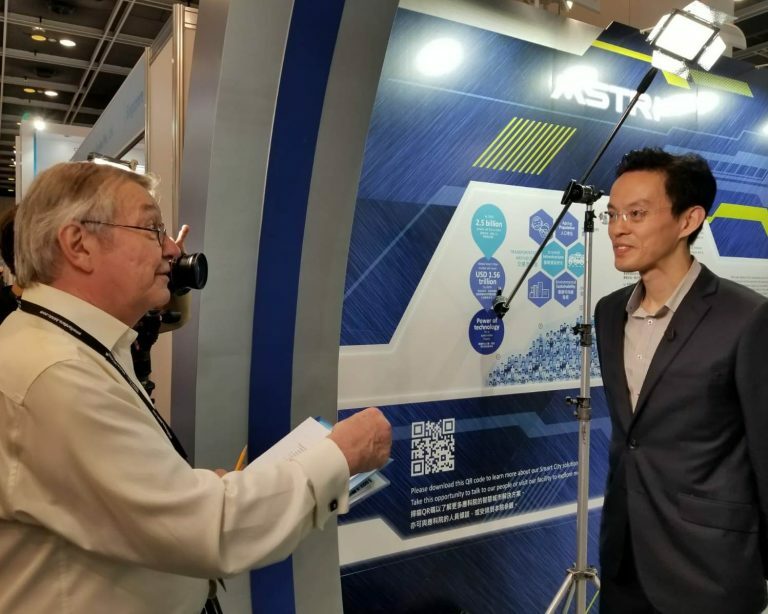 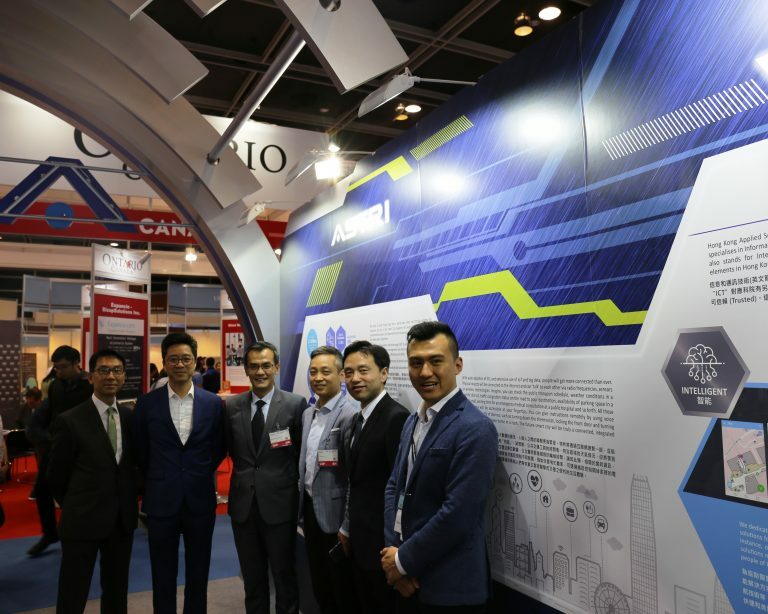 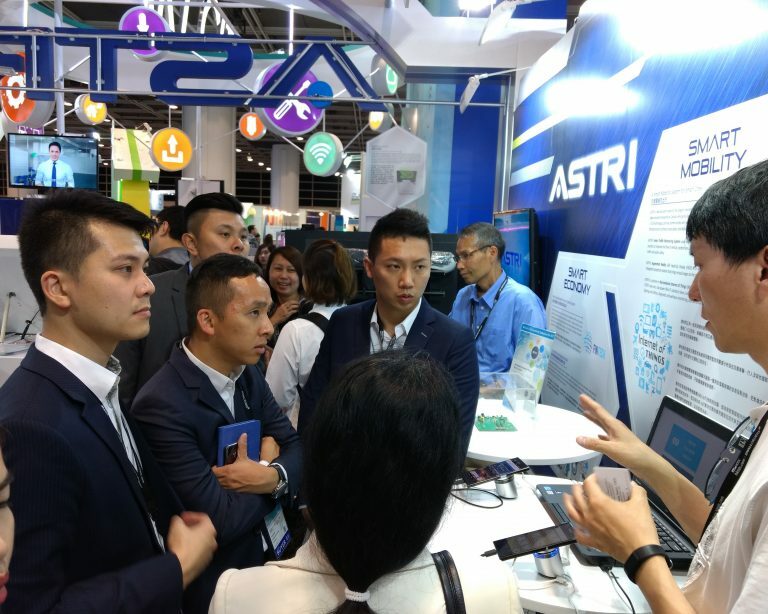 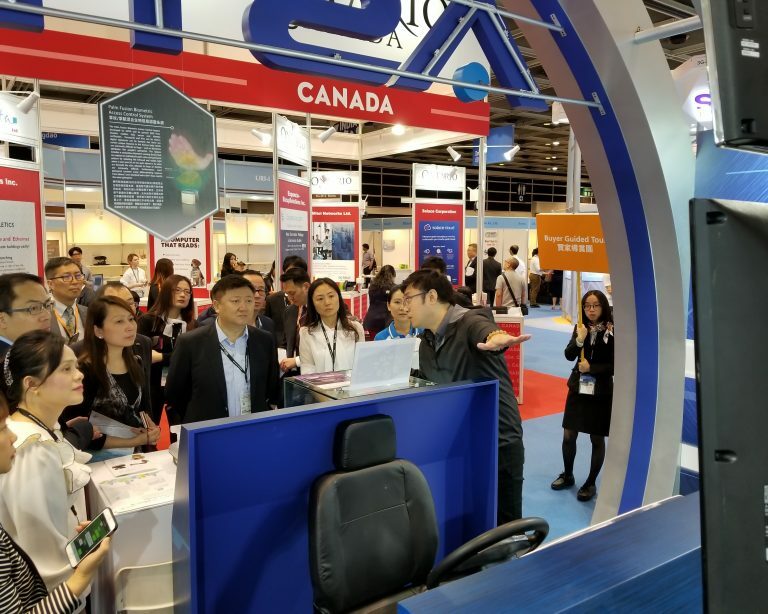 ASTRI was present in the International ICT Expo 2018 – organised by Hong Kong Trade Development Council – from 13 to 16 April 2018. 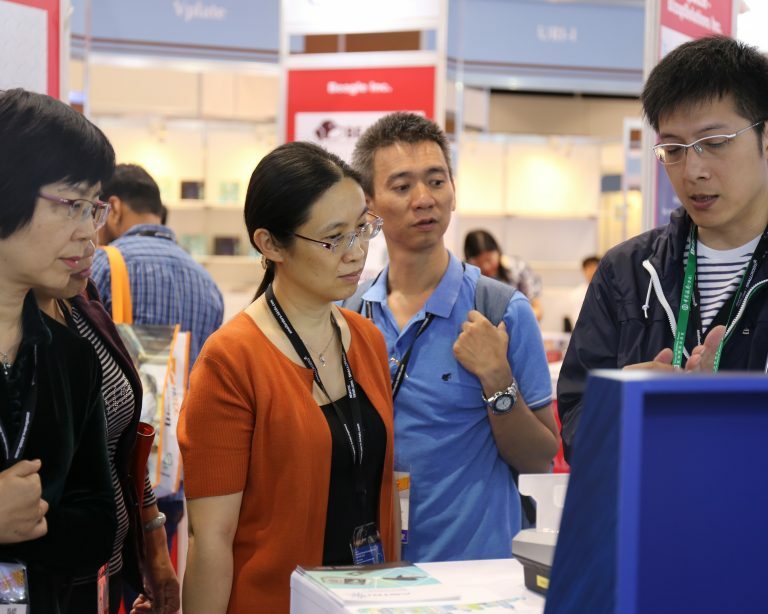 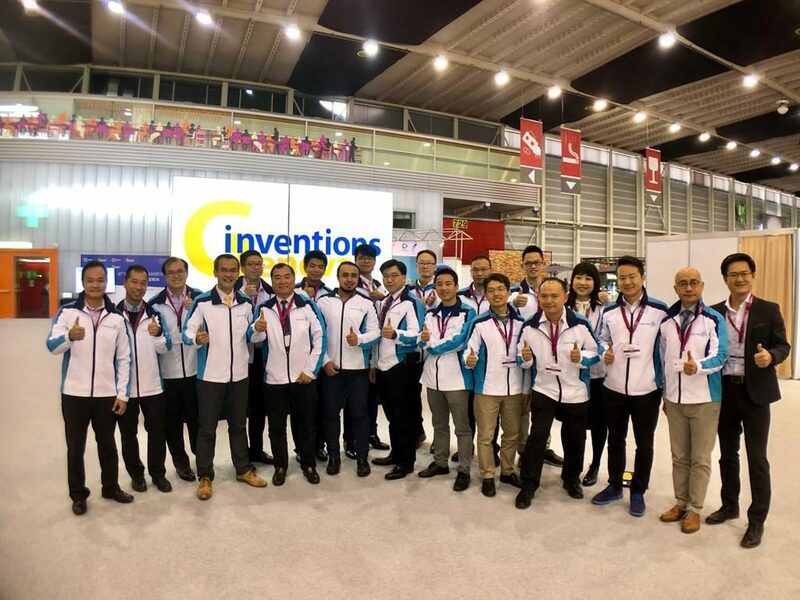 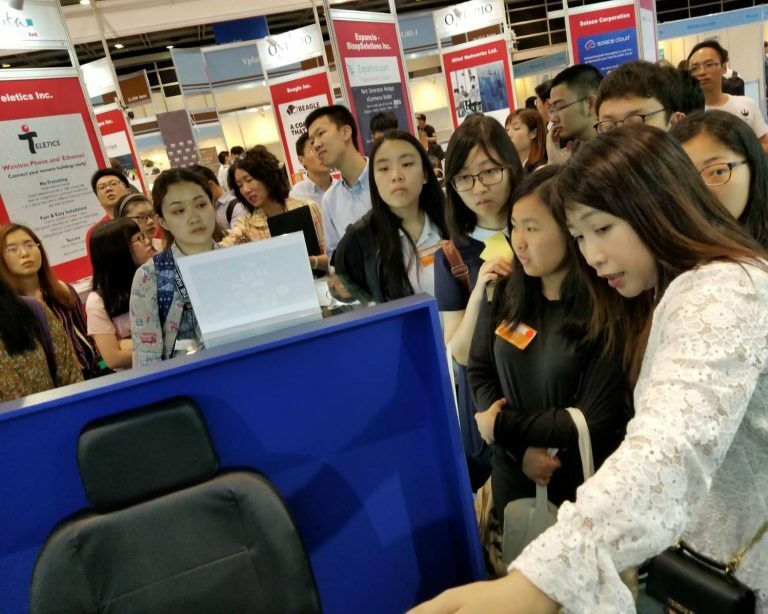 Participated by over 600 organisations and visited by more than 30,000 people, the fair took place at the Hong Kong Convention and Exhibition Centre. 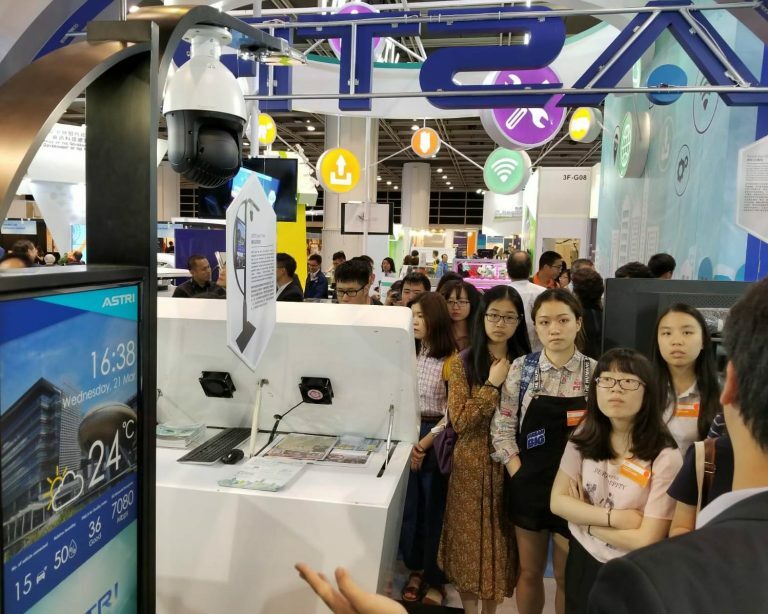 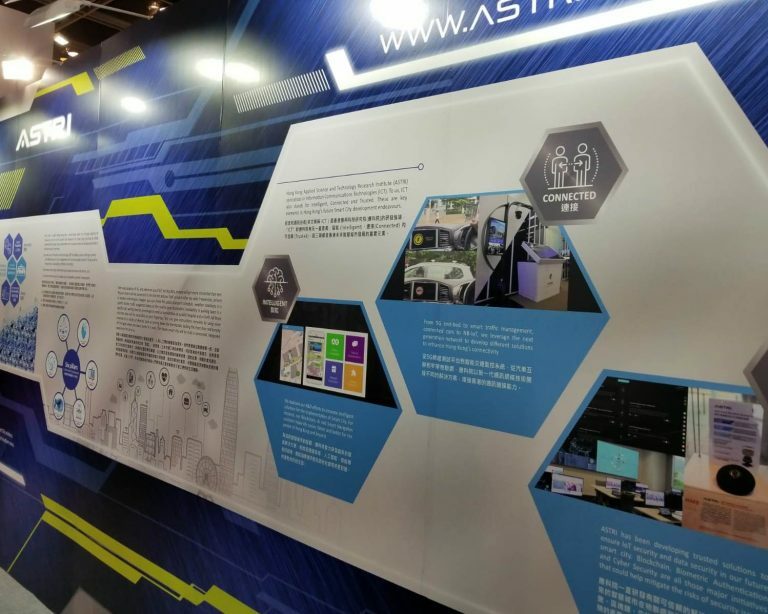 ASTRI’s pavilion showcased a number of innovative R&D projects that were aligned with the Expo’s theme: “Smart City: The Way of the Future”. 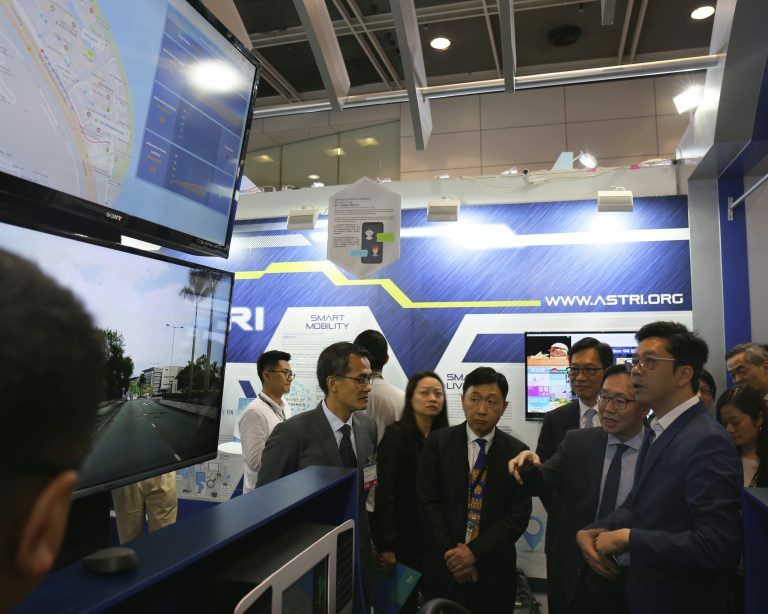 ASTRI has presented its R&D endeavours in Smart City Development under three broad categories: Smart Economy, Smart Mobility and Smart Living. 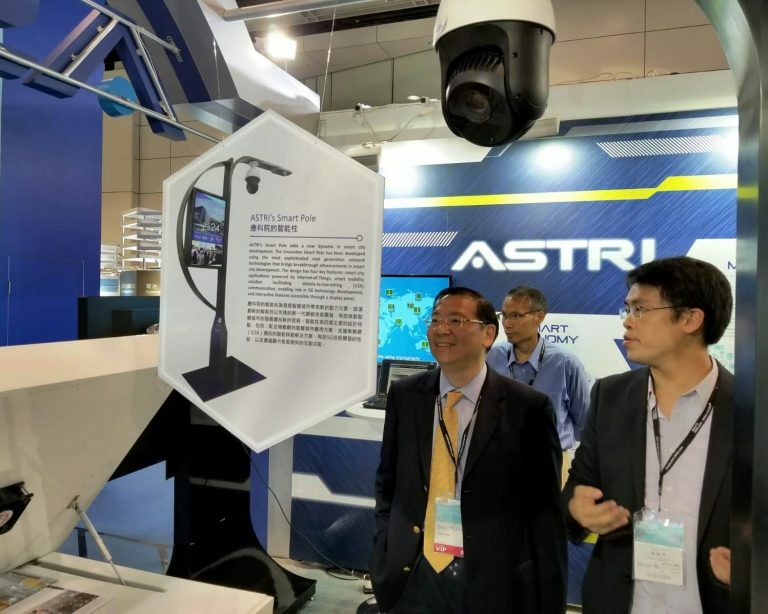 The Hon Mr Chan Kin-por and The Hon Mr Charles Mok – Members of the HKSAR Legislative Council; Dr Bernard Chan – HKSAR Government’s Under Secretary for Commerce and Economic Development and Mr Benjamin Chau – Deputy Executive Director of HKTDC were among a long list of distinguished personalities who visited ASTRI’s pavilion at the Expo. 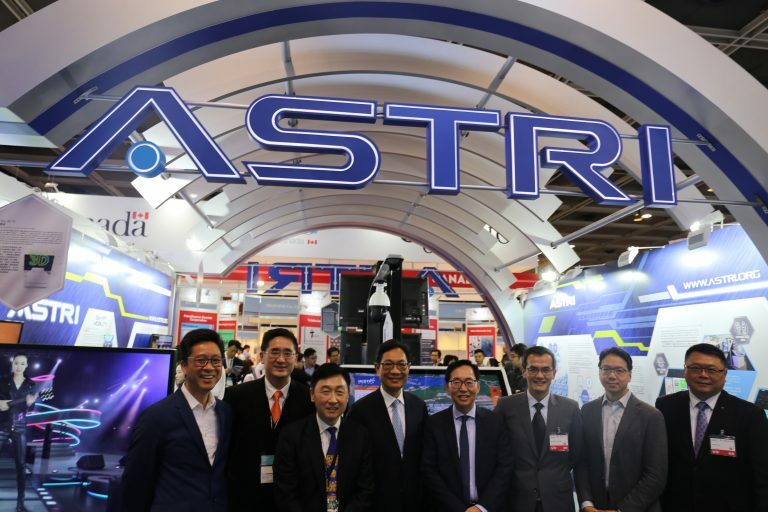 ASTRI’s Chairman Mr Wong Ming-yam, CEO Mr Hugh Chow and CTO Dr MeiKei Ieong were there when the dignitaries visited ASTRI’s pavilion. 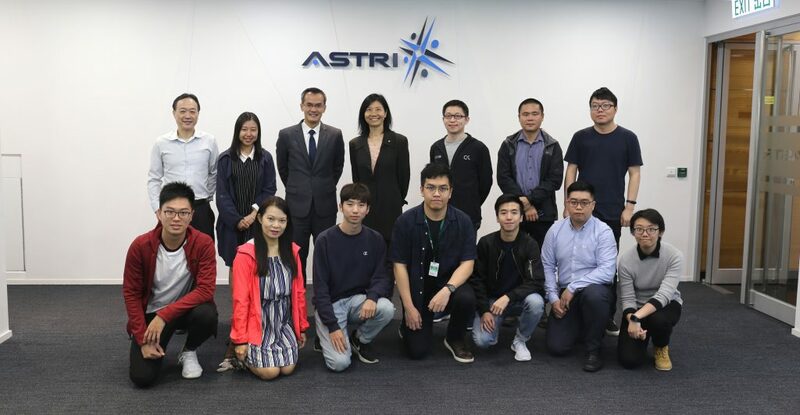 Apart from the local and international VIPs and industry leaders, a large number of students and youngsters also experienced ASTRI’s R&D demonstrations and learnt about its innovative ventures from our R&D experts. 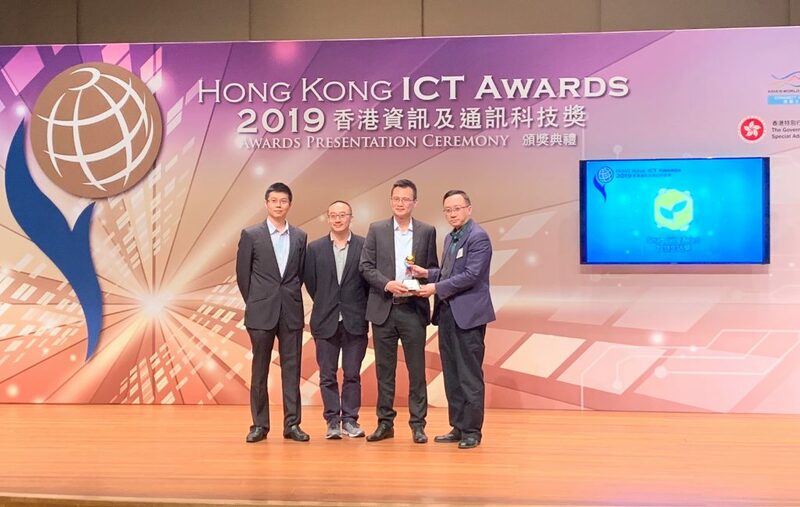 As a Gold Award winner in the recently announced ‘Hong Kong ICT Awards’, ASTRI presented its ‘Palm Fusion Biometric Authentication System’ where Mr Kenny Chan – Senior Manager, shared how the innovative technology works at a dedicated session for winners’ sharing. 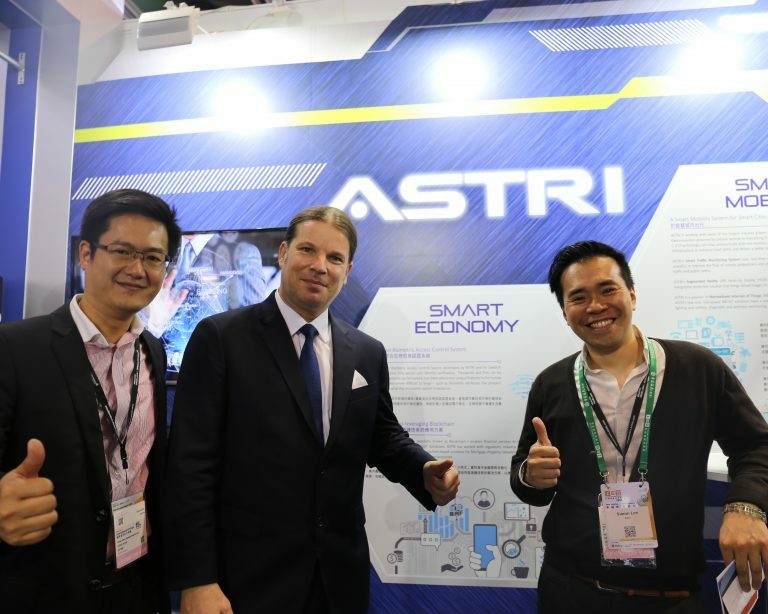 In addition, two of ASTRI’s R&D experts took part in different sharing sessions. 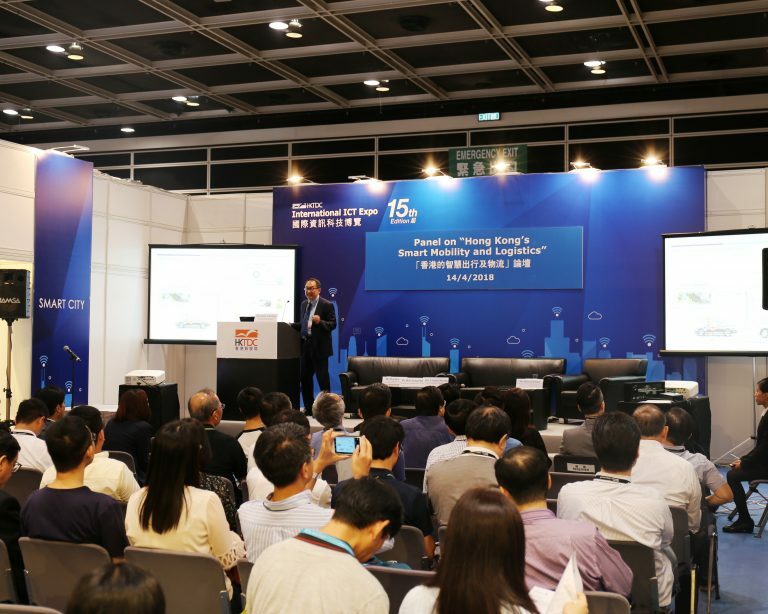 Dr Justin Chuang – Vice President for Next Generation Network, presented an insightful topic “Towards Smart Mobility in the Era of New ICT Paradigm” in the session on “Hong Kong’s Smart Mobility and Logistics”. 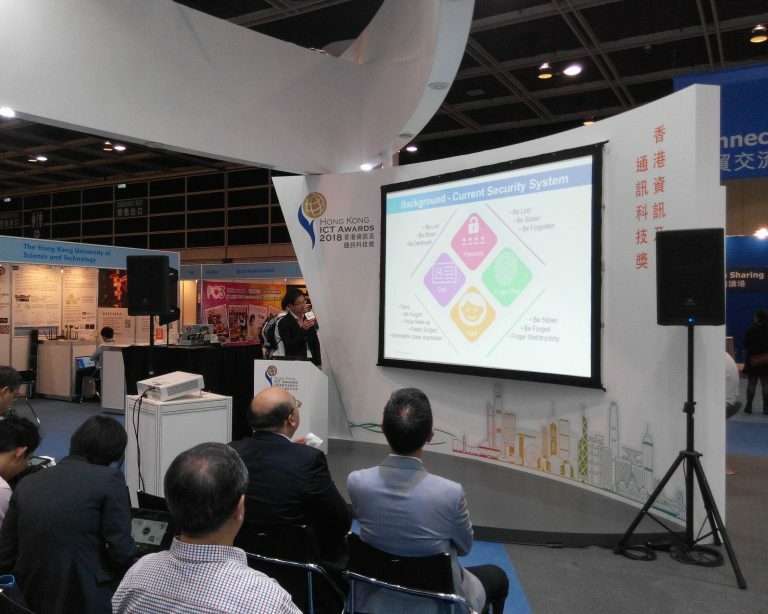 Mr Alan Cheung – Director of Advanced Digital Systems, spoke at a seminar on ‘Cashless and Secured City’, discussing ASTRI’s R&D initiatives in Blockchain and Identity Management. 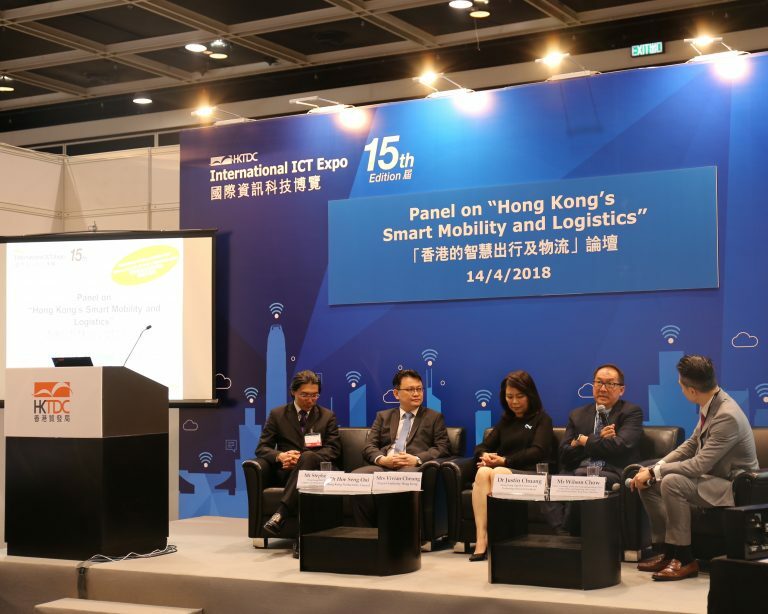 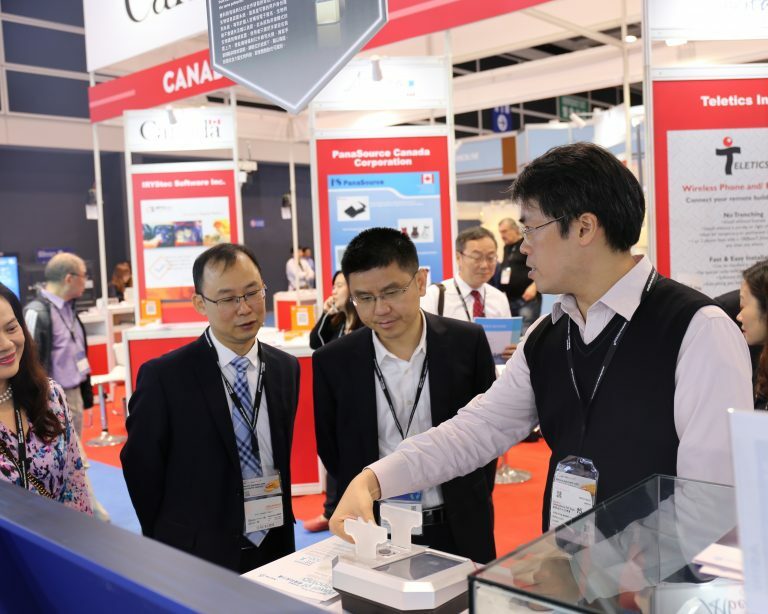 Organised by Hong Kong Trade Development Council (HKTDC), the International ICT Expo is one of the largest regional events for leading ICT products and solutions across all sectors. 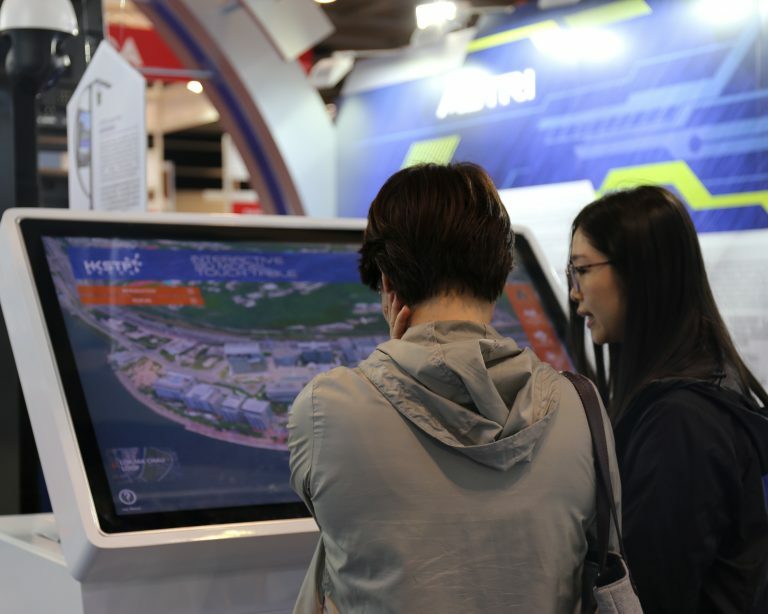 Under the wider theme of ‘Smart City’, this year’s Expo has channelled an enormous range of cutting-edge ICT solutions, such as Retail and Financial Technologies, Smart Mobility and Digital Business – towards efficient, sustainable urban planning and management. 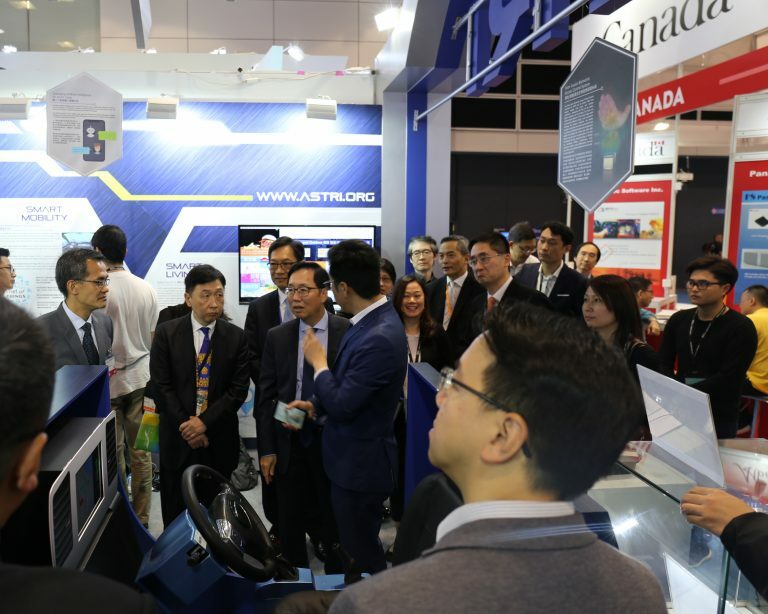 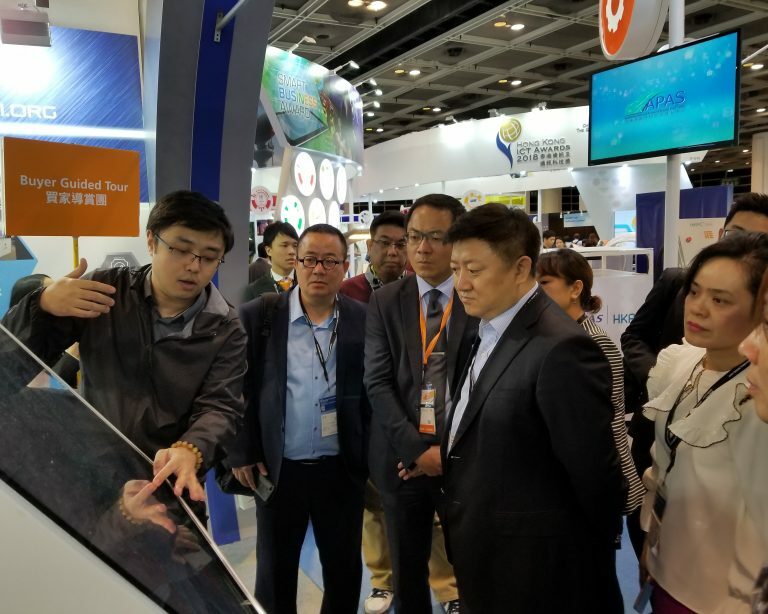 The Office of the HKSAR Government Chief Information Officer (OGCIO) and People’s Republic of China’s Ministry of Science & Technology were the event’s co-organisers. 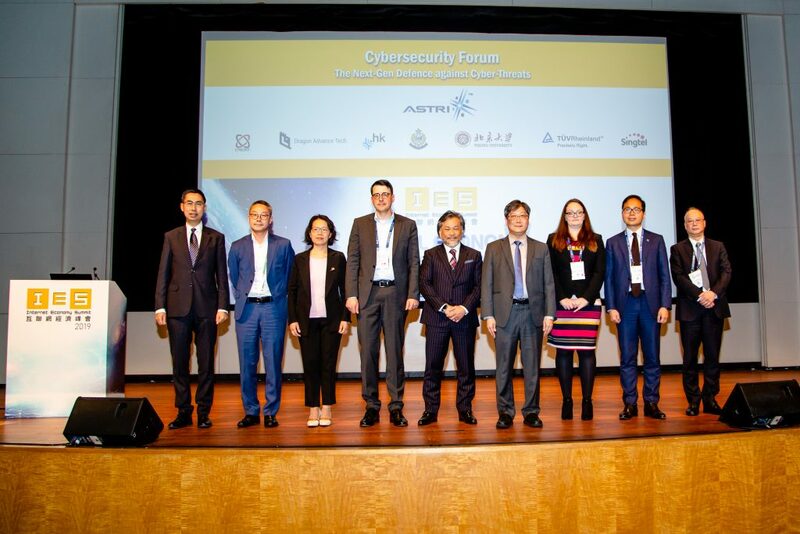 (From left to right) Dr MeiKei Ieong – ASTRI’s CTO, Mr Bernard Chan – Under Secretary for Commerce and Economic Development of the HKSAR Government, Mr Benjamin Chau – Deputy Executive Director of HKTDC, Mr Wong Ming-yam – Chairman of ASTRI, The Hon Chan Kin-por – HKSAR Legislative Councillor, Mr Hugh Chow – ASTRI’s CEO, The Hon Charles Mok – HKSAR Legislative Councillor, and Dr Sunny Chai – Chairman of LSCM were at ASTRI’s pavilion in the International ICT Expo.